Why for many companies the approval rate in Brazil is below 30%. 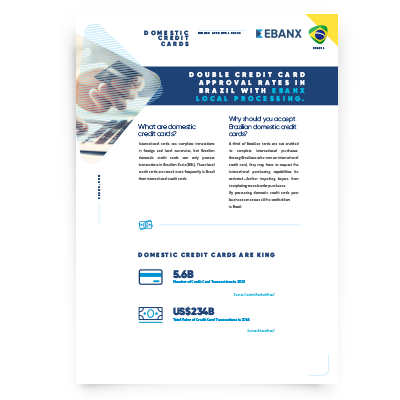 How your business can double your rates with local credit card processing & acquiring. Exclusive benefits of working with EBANX.